I'm taking a post to explain how Siphon Spirit is played, since it's difficult to tell from a screenshot. The game is very action-packed. 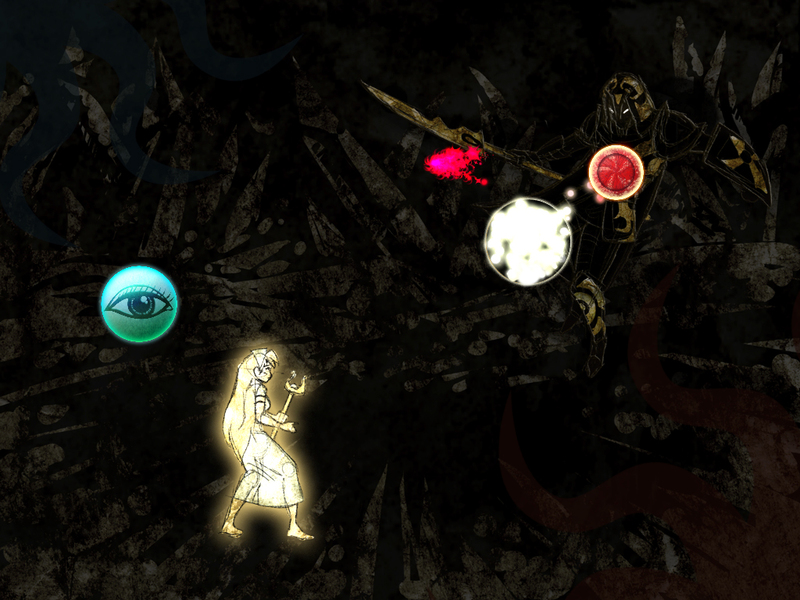 The heroine, Miranda, fights demons using energy she collects, called a Spirit Orb. On the PC, simply moving the mouse moves Miranda's Spirit Orb. Size and position are the most important things to consider--You may only absorb energy from Demonic Orbs smaller than your Spirit Orb. Touching Demonic Orbs causes energy loss so you must siphon energy from a distance. Demon orbs sometimes move about, you will need to sacrifice energy to activate spells often, and you must regularly dodge blasts of demon energy. Defeat a demon by siphoning all the energy from its Demon Heart(s). Magic isn't just a menu command as in most video games--In Siphon Spirit, it's a flowing pool of energy and a game of building up from weakness to strength.